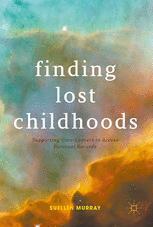 This month our author showcase features Associate Professor Suellen Murray and her book Finding Lost Childhoods: Supporting Care-Leavers to Access Personal Records. Associate Professor Murray is Associate Dean (Research and Innovation) in the School of Global, Urban and Social Studies. She has researched and published extensively on two areas of social policy: domestic violence against women and the life histories of adult care- leavers. Her book Half a Citizen: Life on Welfare in Australia won the 2011 Australian Human Rights Commission Award for Non-fiction Literature. Finding Lost Childhoods examines the significance of records for Australians who grew up in childhood institutions. This group includes Forgotten Australians, former child migrants and members of the Stolen Generations. Often they have little or no information about their families, why they were placed in care and how decisions were made about their lives. Answers can be found in the archives of government and non-government agencies, so many care-leavers come forward as adults seeking access to their personal records. Based on life history accounts, Finding Lost Childhoods shows how care-leavers use records to reconstruct the stories of their lives. It explores what people discover about themselves and their families through accessing their records and the impact of this new information. Professor Murray argues that those working with records must understand their importance for the identity and well-being of people who grew up in care. This understanding should inform policies and practices to support and engage with care-leavers. The book takes a person-centred approach, arguing that the care-leaver and their need to better understand their life story must be placed in the centre of service provision for archives and other agencies involved in records release. This book will be of interest to scholars and professionals in records management, social policy and social work. It is also intended as a resource for care-leavers themselves, to support them in accessing and making sense of their records. Other publications by Associate Professor Murray concerned with care-leavers include Supporting Adult Care-leavers: International Good Practice (2015) and the co-authored After the Orphanage:Life Beyond the Children’s Home (2009). Both are available through the Library.